Life Office space: What does the ideal workplace look like? Office space: What does the ideal workplace look like? Robert Probst never meant to invent the cubicle. It was the 1960s and a growing class of North Americans were being dubbed as “knowledge workers.” Probst, head of research for furniture manufacturer Herman Miller, thought their desks stifled their thinking. Why should people line up like clerks in a 19th-century counting house? Why clean their desks each day? For that matter, why sit down? Probst, a restless inventor, was always in motion. In collaboration with the designer George Nelson, he invented the Action Office – a system of furniture that kept workers moving between attractive surfaces, serving the mind by freeing the body. It was a flop. And the Action Office II, introduced in 1968, had partitions. Employers chose to arrange them at right angles and in straight lines. That was how a utopian designer’s vision devolved into the world of Dilbert. “The cubiclizing of people in modern corporations is monolithic insanity,” Probst said in the late 1990s, shortly before his death. In the past 40 years, the basic tension in office design – between collaboration and concentration – has not been resolved. This challenge has never been more important than today, when the labour force is filled with perma-temps, technology allows workers to be fully mobile, and employers are pushing to reduce their real estate footprints. Open offices more suited to collaboration, and also conveniently cheaper, are popular with managers. The new design consensus is a middle ground: Every office, it turns out, needs space for collaboration as well as some places to hide. The technology sector is leading the way. Here, innovation rules and companies are obsessed about managing their internal culture. Denise Cherry, director of design at O+A, a design consulting firm in San Francisco, is among the explorers. The firm has built offices for many tech startups as well as established companies including Facebook. Visually, O+A’s interiors are designed to cleverly express the prevailing Bay Area values of creativity and innovation. The dot-com cliché of the foosball table seems to be fading, in favour of a new formula that includes art, music rooms and custom-made furniture and design elements. Accordingly, O+A’s projects have included vintage modern chairs, neon signs, yurts and fully staffed espresso bars. But how the office works is, more fundamentally, in question. The solitary work of software coders and graphic designers has to be balanced with teamwork, in an ever-changing ratio. 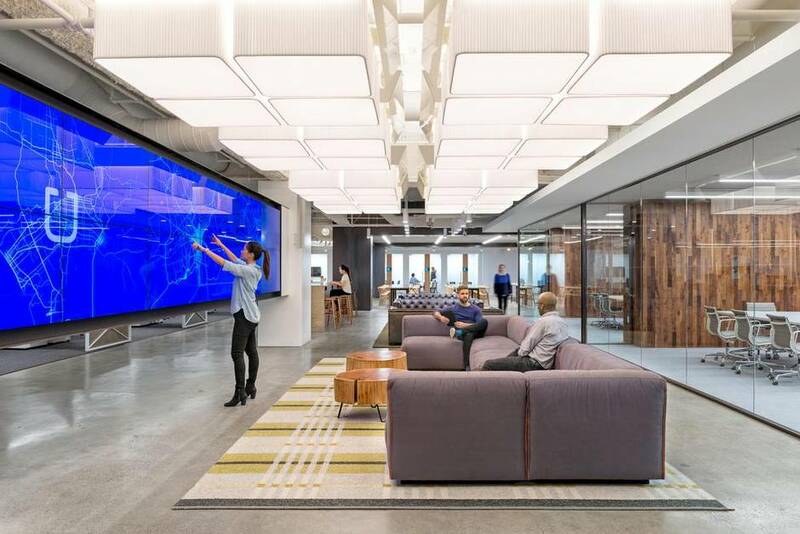 O+A designed a two-floor office space in San Francisco for Uber “that’s 25,000 square feet of experimentation,” Cherry says. This means testing different units within an open floor. “Developers usually work in eight- to 10-person teams, so we craft space around them,” she says. These “studios” are fully enclosed, with lounge and conference spaces, even kitchens. “The goal of each studio is to create a small ‘startup’ within a larger organization,” Cherry says, to encourage an entrepreneurial mindset that gets projects done. O+A has been around long enough to see workplaces and workplace culture change and change again. In the 1990s, the open office became a given; collaboration was the buzzword. “Much of our design lately has been in experimentation on maintaining the flat structure while providing areas of respite or concentration for all individuals – not just those lucky enough for a private office,” she adds. That tension is an old one. In his recent book Cubed: A Secret History of the Workplace, cultural critic Nikil Saval traces two centuries’ worth of office culture. His account makes clear that employers have always seen the office as a machine to create hierarchy and control staff. Is there a perfect synthesis of open and private space? In Toronto, design firm MSDS Studio has just completed a sharp new office for Shopify that pursues that goal. The company, which provides e-commerce infrastructure for small businesses, bridges the physical and digital worlds. 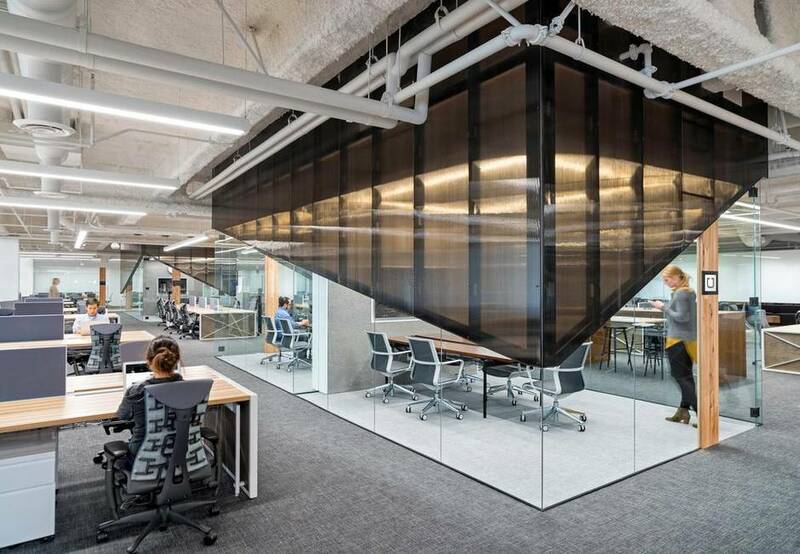 Designer Jessica Nakanishi explains that the office is divided into a “market,” including customers’ products, while the back office is designed to evoke a container shipping. MSDS also designed large wheeled “crates,” each of which contains a couch surrounded by sound-buffering textiles. They can be wheeled together “for a few people to talk quietly, not bother other people, and get work done,” Sabine says. Tell that to Robert Probst. On Dec. 4, Alex Bozikovic will moderate a roundtable discussion with O+A’s Denise Cherry, John Snavely of Xbox, and designer Setsu Ito at IIDEX; 8 a.m.-10 a.m, Keilhauer Keynote Theatre, Metro Toronto Convention Centre. Free admission.